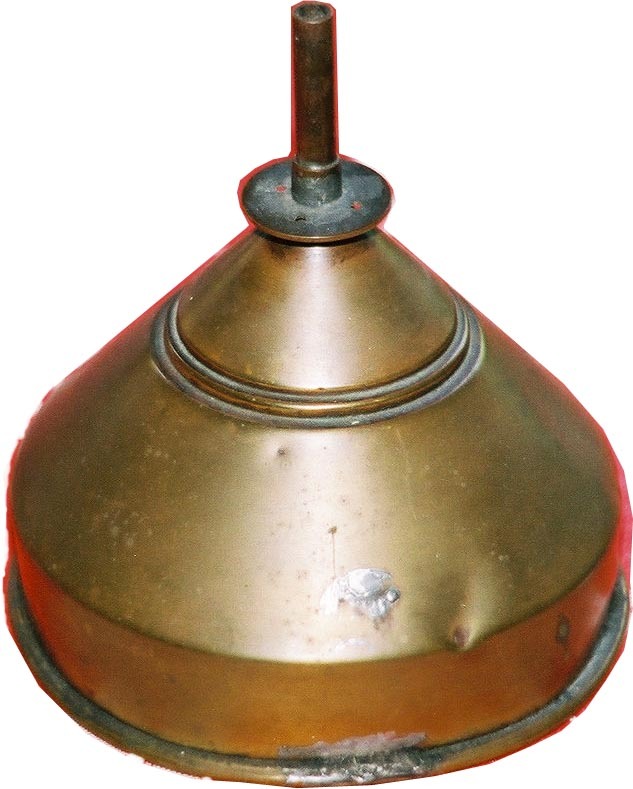 Lighthouse Service brass funnel. Note the solder marks near the rim of the funnel. A tag was once located here with the initial USLHS stamped into it. This funnel was purchased from an outside vendor and then marked after the lighthouse service purchased it. 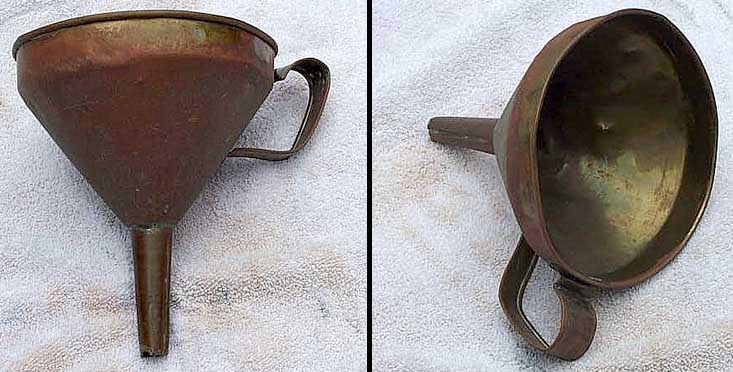 Funnels were used exactly like they are used today. The Lighthouse Service had several styles and sizes to fit various applications. Machinery and moving parts all had to be oiled along with filling the lamps for the lens and the house lanterns. Funnels were used to get the oil or kerosene into the small openings to prevent spilling the valuable fuels. As with all objects in the lighthouse service, it was marked with a US Lighthouse Service plate that was soldered onto the piece for outside purchased ones and stamped into the piece for in house manufactured ones seen in the photographs. Funnels were one of the few items that the lighthouse service purchased from outside vendors as they made most everything they needed. 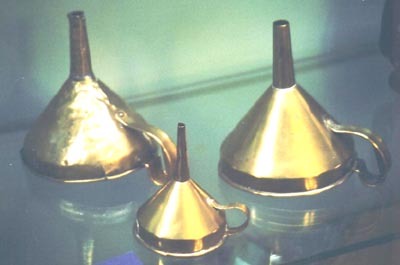 A second style of funnel shown here. This one has the lighthouse Staten Island stamp on it which it was made by the lighthouse service. Here is a nice display of multiple funnels used by the light keeper. These are polished as that is what would have been required in the times they were used.